Over at The RPG Site, there is a thread about people finding some genres more difficult to run than others (here: THE RPGSITE THREAD). It is an interest subject and I have to admit I find it hard to run science fiction and super hero RPGs. I’ve managed Doctor Who but never succeeded at Star Trek or Star Wars. Played in tons space opera games, I just do not feel confident running them. I noticed a number of posters had difficulty with horror RPGs, and I do think it is one of the trickier genres to run well, especially over a long campaign. But I believe the difficulty sometimes has more to do with expectations than the ability of the GM or the enthusiasm of the players. Beginning in 1990 or so, I started running pretty regular Ravenloft campaigns, sprinkled with several one shots of other horror systems. These days I don’t run it as often because I like to focus on GMing games for our own system. Prior to starting Bedrock Games Ravenloft was by far my favorite thing to run, followed by Colonial Gothic and Call Cthulu. In that time I also played in a lot of different game groups, enjoying everything from Innsmouth to Orrorsh. My Ravenloft adventures were not weekends in hell, but instead served as my default campaign. So I got used to running weekly sessions set in the demi-plane of dread. Some of my campaigns were more successful than others. This is what I have observed about running multiple successful, long-term, horror RPGs. I believe many people put horror on too much of a pedestal when they set out to run a scary RPG. They want each session to be a masterpiece of terror that maintains a certain mood and lives on in the nightmares of their players. But any horror fan knows, it’s virtually impossible to maintain that mood and terror at all times. Certain movies or books will stun you with their ability to inspire dread, others will feel more vanilla or even corny. Even within a masterpiece like Silence of the Lambs, Dracula or Rosemary’s Baby, it isn’t uniformly frightening and suspenseful, you need some amount of contrast to even notice the horror when it does occur. So my advice boils down to this: relax, run the game, and don’t worry about every session or every moment being as terrifying as you had imagined. The masterpieces should be rare gems that crop up from time to time and take you by surprise. I learned the hard way, running Ravenloft each weekend, you can’t force that mood every single time. It actually gets dull if every session feels that way. So I mixed things up. Some adventures were meant to be more basic, and serve as filler. Some were more whimsical and fun, others more serious and scary. This worked. The lighter adventures provided a much needed break and lowered everybody’s guard against the more spooky ones. It also took the pressure off me to be Bram Stoker anytime I ran a game. I think this is also a much more realistic approach. Really working horror into a game session is hard, and takes not only a lot of forethought during the prep but a lot of energy during the session. I found myself burning out rapidly trying to maintain that every weekend, and it wasn’t worth it because after a while the players were getting immune to it anyways. It is like serving someone a rich chocolate cake at every meal. What I found was I could dip in and out of a more intense style, and became better at sensing when was an appropriate time to do so. If a terrible horror lurks behind every door you open, opening doors stops being scary after a while, because you are putting up all your defenses and desensitized. Let the players relax, unwind, enjoy their characters and have some fun. That only makes the horrifying moments all the more scary. If they have three light-hearted adventures that are more on the corny side, it can be a lot easier to scare them when you decide to change tone. So sometimes I might sprinkle genuine horror into an otherwise corny adventure. Or I might run a series of deliberate corny and light adventures then deliberately make a more frightening one to mix in. Other times, I just let it happen naturally depending on the mood of the players. Horror is a two-way street, and it makes sense to react a bit to the mood in the room. That meant some nights I knew I could crank it up, but others I accepted would be more Freddy Krueger than Roman Castevet. This may not work for everyone. I find horror is a very personal thing and have seen different GMs work wonders with it using different methods. For me, this approach enables me to run long-term horror campaigns that give you the full span of the genre and make the real frightening sessions all the more memorable. 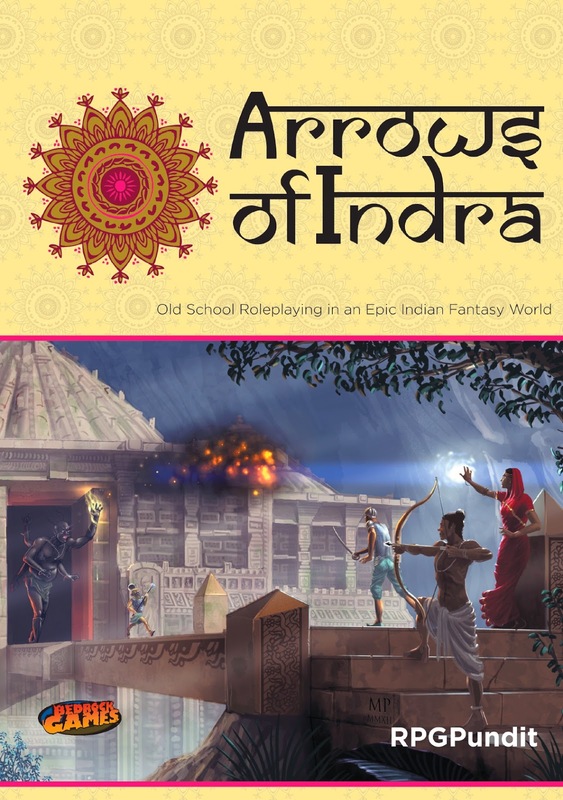 We released Arrows of Indra over a year ago, and it is still going strong. 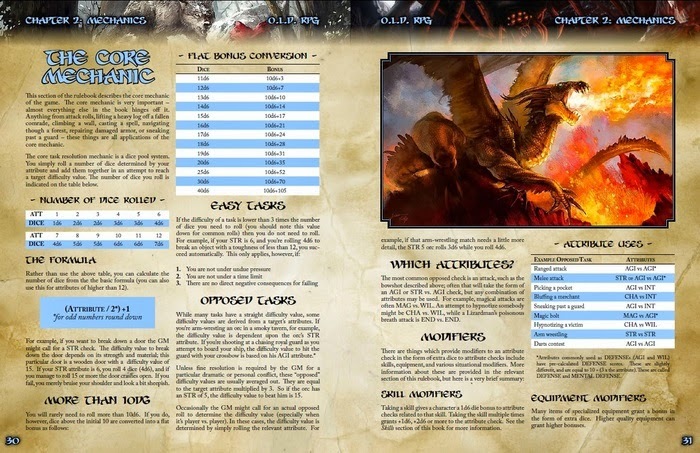 RPGPundit (the writer and designer) continues to give feedback to players and provide useful campaign information on The RPG Site and at his blog (THE RPG PUNDIT). I conducted an interview with Russ Morrissey of EN Publishing and the EnWorld forum. 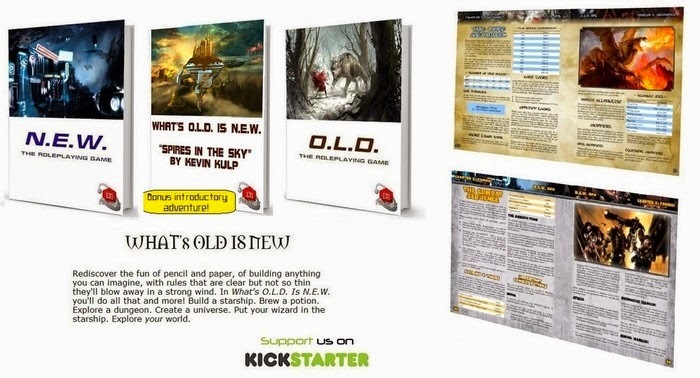 Russ just launched a kickstarter for his new roleplaying games O.L.D. and N.E.W. and took time to speak with me about the systems. Brendan Davis: How did you get into RPGs? Russ Morrissey: I started gaming back when I was in Secondary School (I'm not sure how that translates to your grades)–I was about 12, I think. MY parents bought me a Warhammer tabletop battles boxed set (three books, all black and white). I didn't really understand how to play the game – I think the book assumed you knew what a tabletop battle was and that this was for it – and ended up interpreting the rules as an RPG without ever having seen an RPG. That led my friends and I into D&D, AD&D, and a bunch of other games throughout our teens. BD: Tell us about O.L.D. 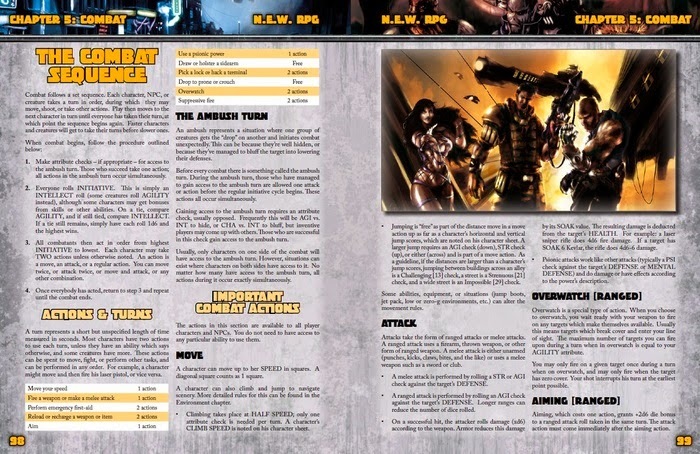 and N.E.W., what made you decide to design not just one RPG, but two compatible RPGs? RM: They're my two favourite genres. I didn't want to just write one big multi-genre game–I wanted to inject detail and flavour into each–so I decided that the way to go was to create them separately. I love multi-genre games (GURPS, FATE, Savage Worlds, even the d20 System to an extent) but I wanted to focus a little more on just the two genres I love. BD: How would you characterize the two genres of O.L.D. and N.E.W.? RM: N.E.W. is science fiction, while O.L.D. is medieval fantasy. If I had to compare them to things, I'd point N.E.W. at Star Trek, BSG, Star Wars, the world of Mike Resnick and O.L.D. 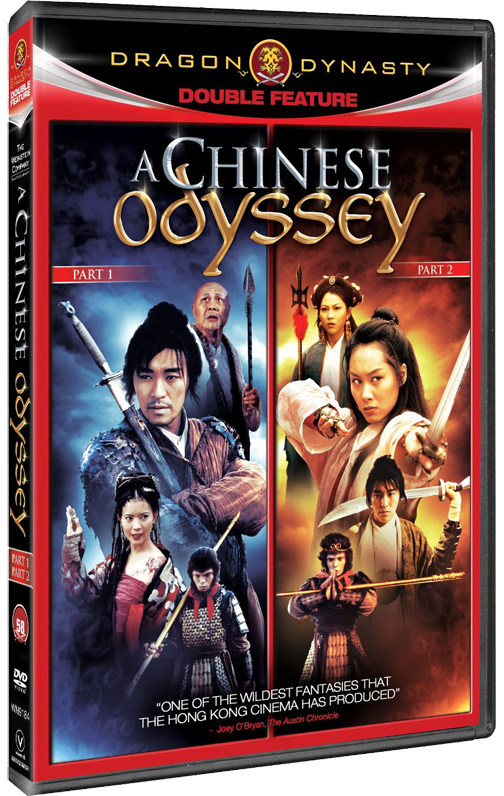 as Tolkeinesque, slightly more grounded, perhaps, than the high fantasy of D&D. But both systems are very flexible, with "dials" you can turn–N.E.W. can go from hard sci-fi to space opera, for example, depending on which elements you choose to include in your setting. It's all about the setting. BD: In your Kickstarter you site old school D&D as the starting point for your inspiration on O.L.D. and Star Trek the roleplaying game (among other 1980s RPGs) as inspiration for N.E.W. Why was this period influential in the development of O.L.D. and N.E.W.? RM: They were the games I grew up with, and the games which caught my imagination as a teen. The ones which have stuck with me all that time–I still have them, and read them from time to time. Maybe it's nostalgia, but those games grab something inside me that many more polished modern games don't. BD: You describe the rules as clear but not too thin. Where would you say the system resides on the Rules Light to Rules Heavy Spectrum? RM: Hmmm. That sort of question always makes people angry with me for mildly mis-characterizing their favourite game! So HERO is at the very top end of crunchy, and DREAD is at the bottom end. If they form 1-10, Pathfinder is an 8. I'd Put O.L.D. and N.E.W. at 6-7. Crunchy, but it doesn't have the large number of feats and spells that, say, D&D 3.x has–though it does have some detailed ship design systems and the like. BD: What are the advantages to a crunchier system? RM: It's a matter of taste. Every gamer likes different types of games. For me, a crunchier system lets me spend a lot of time building and designing away from the game table–I enjoy that aspect of gaming as its own pleasure, and it can be very satisfying and rewarding to spend that time designing your characters, monsters, spells, starships, planets, herbal concoctions, careers, species and races, and so on, and then use those things at the game table. BD: Where do you think most of the crunch is in O.L.D. and N.E.W.? What parts of the system seem the most robust? RM: In O.L.D. you'll find crunch in character generation, spell creation, herbalism and alchemy, monster creation, and stronghold building. In N.E.W. you'll find it in (again) character creation, design of solar systems and planets, starship construction and combat, customization of equipment and weapons, and–again– monsters. BD: Can you give us a quick rundown of the key mechanics in the systems? RM: It's a dice pool system. Most activities are based around attribute checks, and several attributes determine the size of their associated dice pools, with an open-ended list of skills allowing for additional dice as bonuses to relevant attribute checks. Character generation is career-driven: you select a sequence of careers (or "traditions" in O.L.D.) which create your backstory and your starting attributes and skills. BD: How many people were involved in the design of O.L.D. and N.E.W.? BD: Time, ageing, career and age-related developments appear to be important in O.L.D. and N.E.W. Can you talk a little about this and what you feel it adds to the game? RM: I liken it to movies or TV seasons. Sometimes it can be dramatically interesting to revisit the same character(s) later in life. Kirk was a captain at the end of the TV series, and when The Motion Picture came along he was an Admiral. 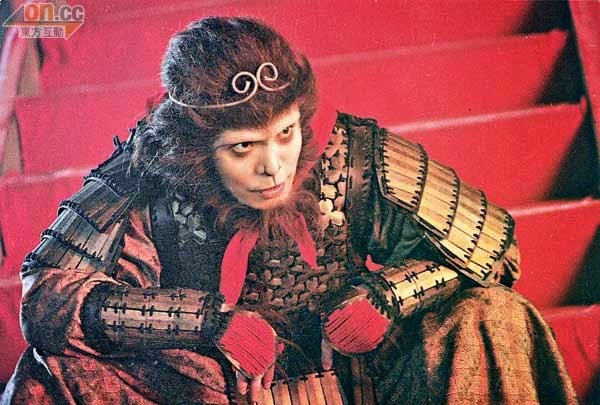 I like the idea of a campaign spanning a character's entire life, with long downtimes in between during which their circumstances or career or location changes. But that's just an option–I provide for it, but don't insist on it. You can, by all means, play the D&D style straight-through campaign, or play a one-shot or short arc. BD: Why did you go with a generic, setting free, system? RM: Because I want to encourage folks to build their own stuff. I could create a setting (heck, I will–there will be separate settings available for those who want them) but I'm more excited about seeing what other people make with it, whether they be fans or publishers. I'm also excited to see them use the rules to model their favourite TV shows or movies or models. So I don't want to proscribe the nature of the game to the players–just give them the ability to choose. BD: Tell me about your design process. Did you have a particular design philosophy or set of design goals? RM: Yikes, that's a hell of a question! A design philosophy? I mean, I guess I am designing the game I want to play, and hoping that that game is a game that others want to play, too. I'm taking concepts from games I loved and reworking them (I loved the FASA Starship Construction Manual, for example, and it has influenced the starship construction chapter in N.E.W.). And I took things I kinda’ wanted in D&D or what-have-you (like herbalism as a system, not just a skill rank). 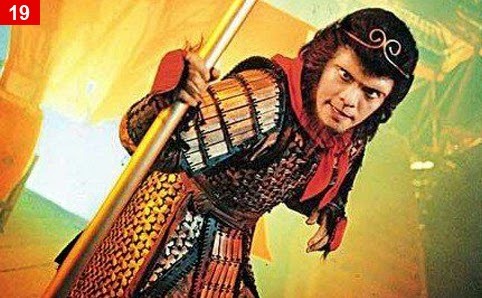 BD: What is your projected timeline for release? RM: The expected release date is August 2015, but backers will get new playtest documents all the way up until then. BD: What will each core book contain? RM: The two books have sections relevant to each–so O.L.D has herbalism & alchemy, spells, strongholds, magic items, and so on, while N.E.W. has starship combat, starship construction, astronomical universe design rules, etc. In addition, each has character generation with careers/traditions appropriate to the book in question, equipment equally appropriate, and monsters/creatures. Plus a combat chapter in each and a big section on adjudicating things like chases, interrogations, spycraft, and stuff like that. BD: Do you intent to release additional material after the core books? RM: I hope so, but there are no specific plans yet. We'll see how the Kickstarter does and whether there's any demand for more. Settings and adventures seem like likely choices. I hope that third parties take advantage of the open license to create stuff for either or both games. At the moment there's one additional product planned, which is a Kickstarter stretch goal–"Spires in the Sky", an introductory adventure by Kevin Kulp which will use both rulebooks.